If you know me personally, then you would have expected at least one column on the gloriousness that is Warhammer 40,000. I actually was not into the franchise, or even knew about it, prior to Warhammer 40,000: Space Marine. The E3 before its release, I saw a banner for the game, but only the “Space Marine” part was emphasized. I commented to one of my companions that that was the most generic name for a game I’ve ever heard. He was quick to educate me on the WH40K universe and asked me to at least try the game when doors opened the next day. I agreed, we went to play it together, and thus started my leap down into the Space Marine rabbit hole. I don’t paint the figures or play the tabletop games, but I read a lot of the books from the Black Library. One thing I never understood from the ending of Warhammer 40,000: Space Marine was why the Inquisition arrested Captain Titus at the end. The guy saved the day at the end of the game, saved Graia from complete destruction from both the Orks and Chaos, and he’s led away in chains. Even worse, one of his squadmates reported him to the Inquisition in the first place! At the time, I asked my friends why that happened, and they all said the same thing: “Oh, that’s just Warhammer for you.” It took reading a series of books about Ultramarines Captain Uriel Ventris to really understand why. You see, a squadmate of Uriel’s also reported his captain of perceived wrongdoing, which resulted in kicking Uriel and his best friend out the door on a Death Oath. But first, before I dive into this lore to explain Captain Titus’ horrific treatment, let’s take a moment of silence for the sequel we’ll never get. There are many branches of Space Marines in the world of WH40K, but Captain Titus and his squad hail from the Ultramarines, the XIII Legion of the Emperor’s Space Marines. They are one of the more extreme Loyalist Chapters (meaning those Chapters that sided with the Emperor during the Horus Heresy. As for what is the Horus Heresy itself, how much time do you have?). As such, they follow the Codex Astartes that their primarch, Roboute Guilliman laid out for them before his “passing” thousands of years before. The Codex explains, in great detail, everything expected of an Ultramarine. To add a little more emphasis upon the “ultra” part of their Chapter name, any deviation for any reason from the Codex is not allowed. You stray a little bit, and the least that could happen is a loss of rank. Or you could be exiled and sent on a Death Oath like Uriel was. If the infraction is extreme enough, then torture and execution are most certainly on the menu. Technically, that is what happens or what is expected to happen on a Death Oath. However, Death Oaths are quests where torture and death are most likely to happen. It’s torture and death by other hands than the Space Marines. Point being, the Ultramarines take this precious Codex super seriously. In Captain Titus’ case, young Leandros refused to see any explanation beyond the Codex Astartes as to why Titus could be resistant to the taint of Chaos. Since space book says that’s not possible unless you are corrupted, therefore, Titus has to be touched by the warp. 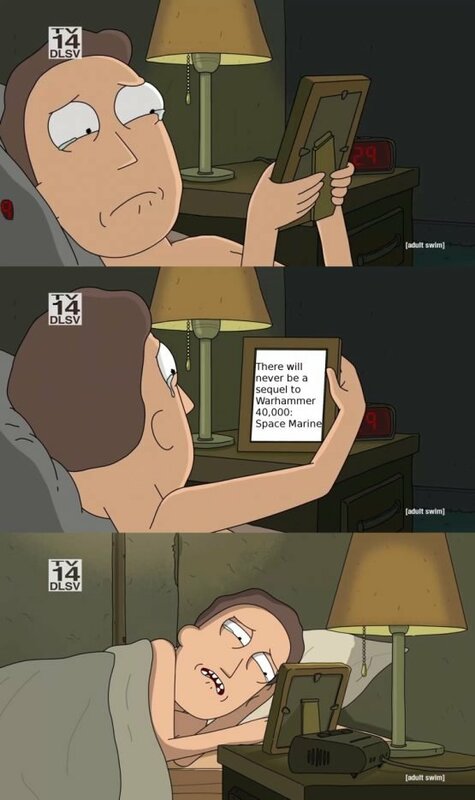 Forget the fact that he risked his life to close the portal he inadvertently opened to stop the Chaos Marines from flooding the planet. None of that is relevant, save for this assumption that could, naturally, be the only explanation. For Uriel, he left his company planetside to help the Deathwatch save the planet both teams were fighting to protect from the tyranids. Thanks to Uriel’s help, the Deathwatch’s mission was a success and the planet was indeed saved from the tyranids. 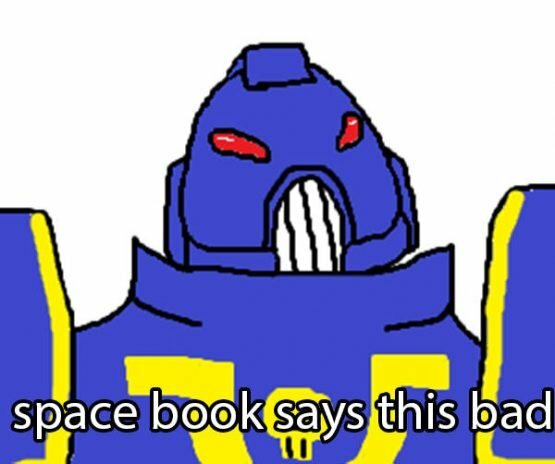 None of that mattered to the Fourth Company of the Ultramarines, however, since it took Uriel ignoring the sacred Codex to achieve that success. In their mind, it would have been better for the mission to fail without Uriel’s help than to risk going against the Codex Astartes. So when my friends said, “Oh, that’s just Warhammer for you,” they weren’t wrong. Warhammer 40,000 has this way of making everything sad somehow, but I guess that’s what happens when you’re in the grim-dark future and there is only war. But in the instance of Captain Titus and Warhammer 40,000: Space Marine, I now know the rest of the story.